Interested in becoming a police officer in Alaska? Take the first step by preparing for the written police exam. Preparing for the exam will strengthen your chances of being selected. 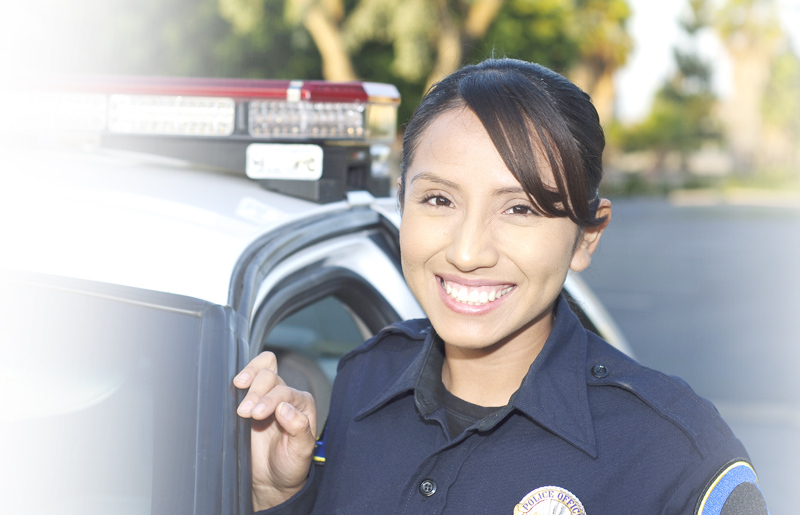 JobTestPrep provides you with information on various police exams found throughout Alaska. Each police department may require their own exam. Different departments may use the same exam. Below is a list of Alaska police departments. To become a police officer in Anchorage you must take the National Criminal Justice Officer Selection Inventory (NCJOSI) exam by IO Solutions. The exam tests important cognitive abilities and personality attributes that are necessary for successful job performance. The first section of the exam, tests your cognitive abilities. This part of the exam consists 45 multiple-choice questions spread out over four areas: problem-solving ability, reading comprehension, mathematics, and writing ability. The second section measures various job-related personality attitudes and characteristics. It consists a total of 42 behavioral statements. To join the Fairbanks police department you need to take a series of written tests. They give four different tests. The first two test they require are produced by IO Solutions. The third exam is the Nelson Denny Reading comprehension test. The last test is a typing test. The two IO Solutions exams are the National Criminal Justice Officer Selection Inventory and the Integrity measure. The Nelson Denny Reading Test measures the reading ability. The test includes two parts, vocabulary and comprehension. The typing accuracy test will require a result of 35 words per minute with 5 or fewer errors. To join the Juneau PD, Sitka PD and the Alaska State Troopers, you need to take the Law Enforcement Selection Tool (LST) police test designed by IO Solutions. The exam measures various areas related to law enforcement officer performance. The test is made up of two areas: cognitive abilities and non-cognitive traits. The LST police test contains 120 non-cognitive test questions and 70 cognitive questions. You will have a total of 2 hours and 30 minutes to complete the exam. The non-cognitive section of the exam has two main categories work styles (personality test) and biographical data. The questions will be either behavioral statements or multiple choice questions. The cognitive abilities section of the exam assess seven different areas: deductive reasoning, flexibility of closure, inductive reasoning, information ordering, spatial orientation, written expression and written comprehension. These areas have been proven to be necessary to be successful as a law enforcement officer. The first step in the police hiring process in the written exam. Preparing for the exam will get you one step closer to becoming an officer. We provide test content and format to familiarize you with the exam. Our custom made practice packs are designed to make it feel like you are taking the actual exam. We also created a Police Practice Pack that not only includes over 1,500 questions but also a personality test, which is another part of the hiring process. IO Solutions, Nelson Denny and other trademarks are the property of their respective trademark holders. None of the trademark holders are affiliated with JobTestPrep or this website.